The Ethnographic Park Pirámides de Güímar was founded in 1998 by the renowned Norwegian researcher Thor Heyerdahl. 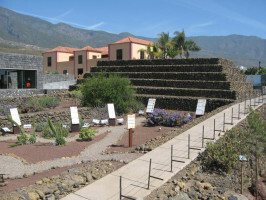 Throughout more than 64.000m2 you can discover the pyramid complex, a museum, an auditorium, several outdoor routes, large garden areas and much more. 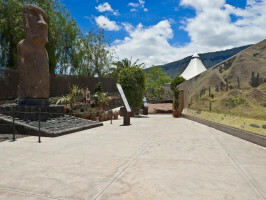 The Casa Chacona Museum is found on the ground floor of a nineteenth century house. 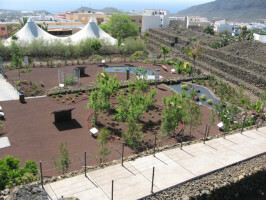 The Canary Islands have a high proportion of endemic species and plant communities that live only in the islands or are shared with other Atlantic islands. The Exportation Products Route concentrates on the main products which have been exported from the Canary Islands since the time of the Spanish conquest, such as sugar cane, wine, cochineal, bananas or tomatoes. 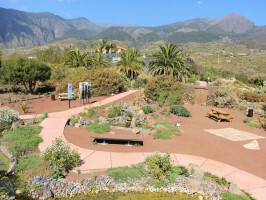 The Cultural Route comprises a new outdoor route, which offers information on many aspects of the culture, history and ethnography of the Canary Islands, during the 500 years since the conquest. This new route explains the volcanic origin of the archipelago, showing the geologic formation of the Canary. Extreme survival ' brings together two great exhibits dedicated to the navigation and discovery of the Pacific Islands, culminating in the history of Easter Island. 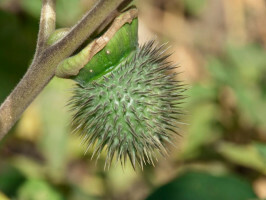 This interesting natural scene, beside the park's footpaths, is unusual in that it houses over seventy poisonous plant species from around the world. 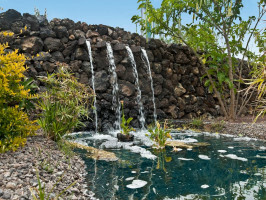 Developed in collaboration with the University of La Laguna is an attractive space that reproduces throughout 1,000m2 a typical Canarian ravine, with flowing water and the characteristic plant species found in these environments. Also, specimens of the European eel have been introduced, since it is the only freshwater fish present in the islands. Please make sure that you pick the correct rate for where you reside. Voucher valid for the date of service only. Opening hours:from Daily from 09:30 to 18:00 H. The 25th December and the 1st January Closed.